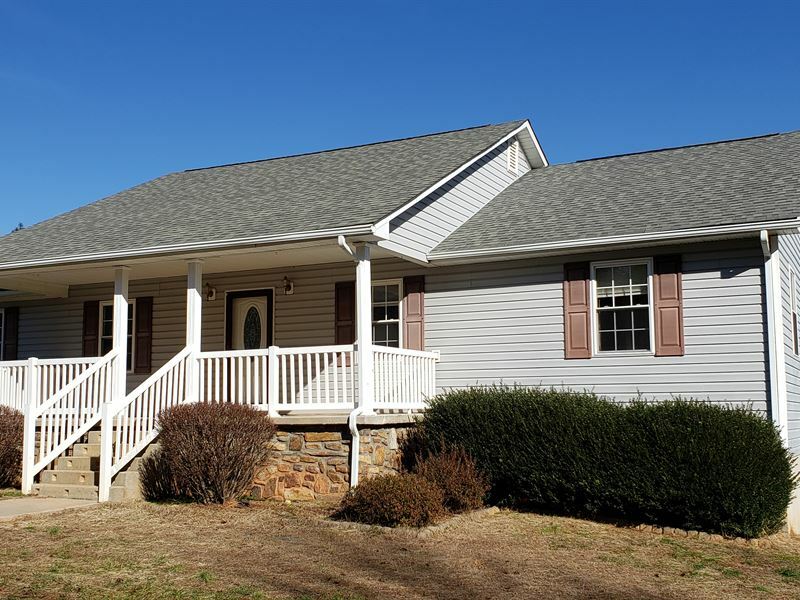 Beautiful and spacious 3BR 2BA home with finished 2BR 1BA basement apartment, shop, storage, chicken coop, and plenty of room to roam in a wonderfully private setting. Offered in 2 tracts. 3240 finished sq.ft. (1620 sq.ft. main level with finished basement) with 3 bedroom and 2 full baths on the main level with spacious rooms, vaulted ceilings, and hardwood floors and a basement apartment offering 2 bedrooms, 1 full bath, kitchen, and living room. Plenty of outdoor entertainment area with large covered porch, spacious back deck, patio, and fire pit. Small workshop has a storage room, electric, water, and concrete floor. Very private setting with large, landscaped yard, gated entrance, and a tree-lined driveway. Mostly wooded with dog lot, garden area, and old home converted to a storage building with attached shop.